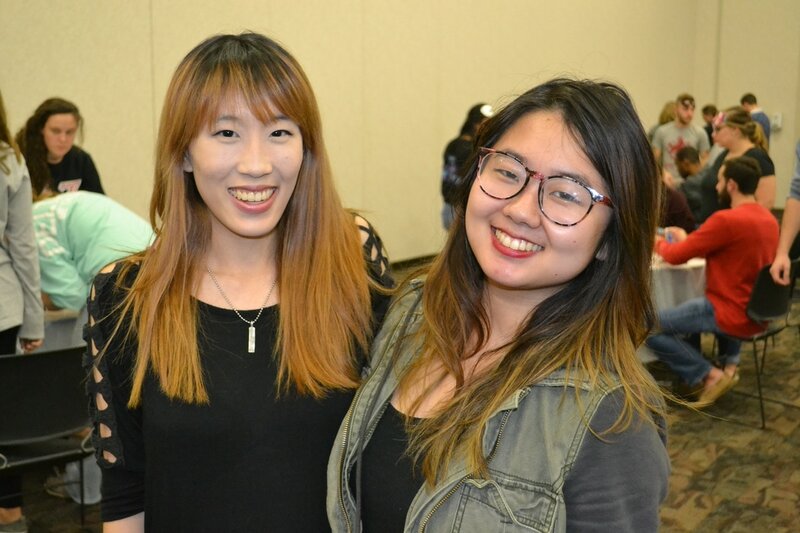 Helping others is something that every Phi Sigma Rho sister strives to achieve in many ways. 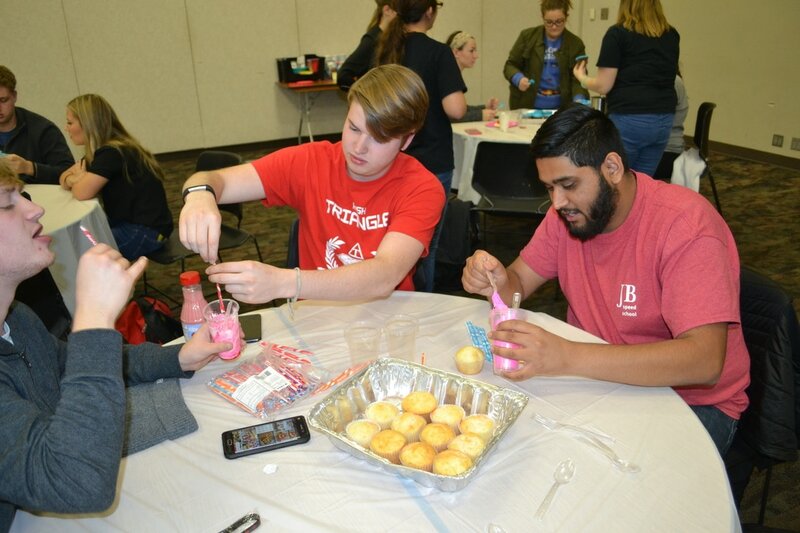 Through participating in our own philanthropy event, Cupcake Wars, and other philanthropy events in our community, we strive to improve the lives of others through hard work and financial support. 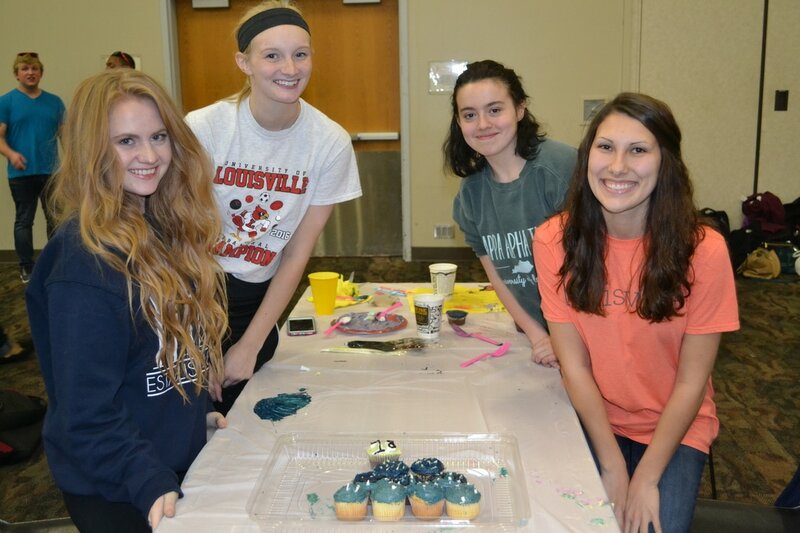 Cupcake Wars is an annual philanthropy event hosted by the ladies of Phi Sigma Rho. 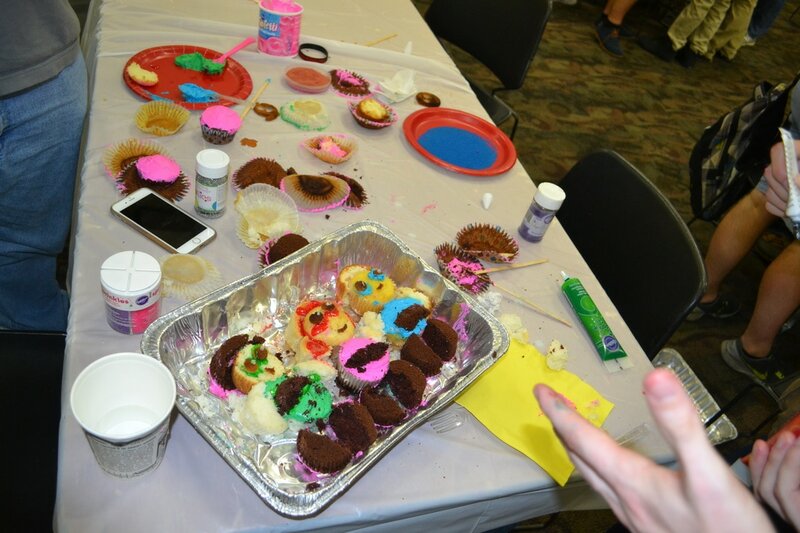 The event is a cupcake decorating competition where teams of 4 are asked to decorate cupcakes based on a predetermined theme. All proceeds from the event are donated to The Travis Manion Foundation and Supporting Heroes. These organizations aim to support the families of fallen heroes, help veterans transition back into civilian life, and empower young individuals to protect and serve our country. 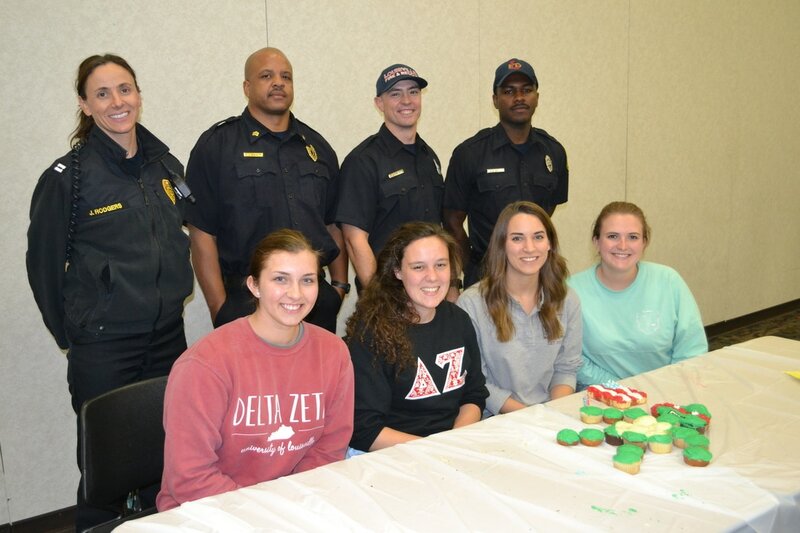 Our 2016 1st place winners, Delta Zeta, with their cupcake creation and our wonderful judges! 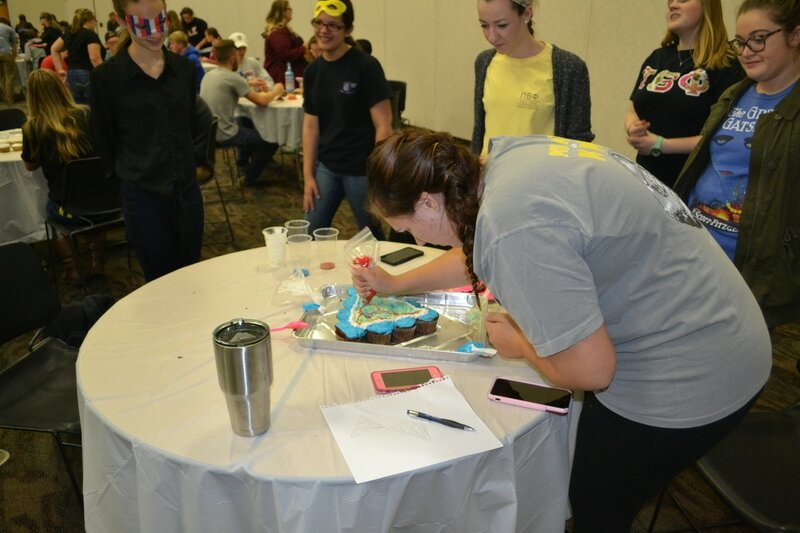 The 2016 theme was Superheroes!